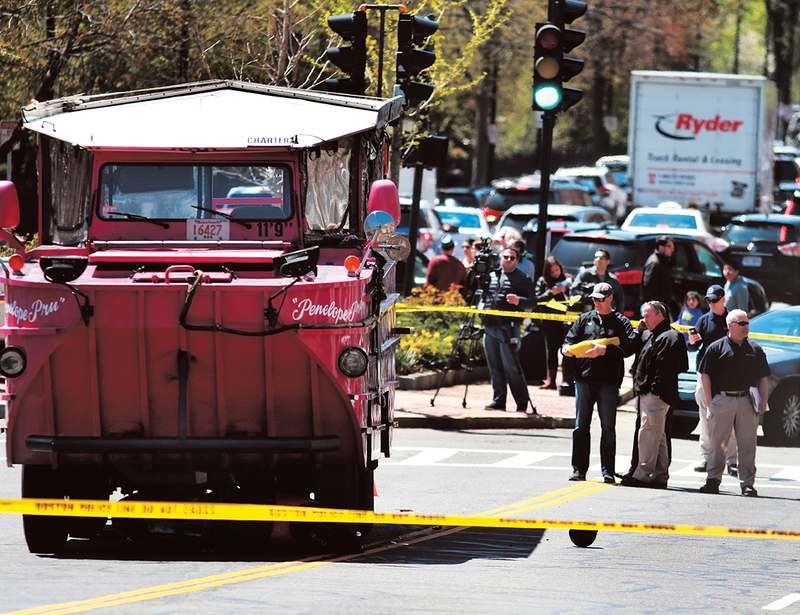 Duck Boats Can Kill—Are New Safety Regulations Enough? Boston’s iconic tour buses were involved in multiple accidents last year. By Spencer Buell·	 4/9/2017, 6:00 a.m.
Every spring, dozens of psychedelically colored duck boats fan out across the narrow streets and busy intersections of Boston. They have playful names like South End Sara, Fenway Fanny, and Symphony Hal. Last April, the Penelope Pru—a bright-pink amphibious vessel—stopped at a red light on Charles Street as passengers watched their “conDUCKtor” point out historical landmarks. Everyone seemed to be enjoying the famously festive city tour. When the light turned green, a moped in front of the duck boat tried to accelerate out of the way, but the driver never saw it. Witnesses shouted to stop but it was too late: 28-year-old motorist Allison Warmuth lay dead. Then three months later, a duck boat clipped a woman crossing a street in the Back Bay, knocking her unconscious. In the wake of these collisions, the question swirling through town has been whether these aquatic tour buses have any place on our streets at all. Boston, to put it mildly, has a longstanding love affair with duck boats. They shuttle Tom Brady and the gang to City Hall for every Super Bowl parade, pump untold dollars into the tourism industry, and serve as evangelists for everything we love about Boston. They are also nearly twice as long and wide as a pickup truck, originally designed to bring soldiers to battle during World War II. Today, flocks of them carry tourists in cities across the country. Still, transportation activists warn that ubiquity doesn’t translate to safety and say the threat of catastrophe is always looming. 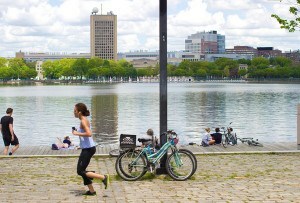 Drivers, who sit 10-plus feet behind the front of the multi-ton boats, have to mind pedestrian-swallowing blind spots. A growing number of concerned citizens would prefer it if we sunk every last duck boat in Boston Harbor, for good. “They are just too dangerous,” Warmuth’s parents, Ivan and Martha, say. It wouldn’t be the first time an accident wounded a city’s duck-boat industry. Philadelphia’s went under last year after two crashes claimed three lives and insurance premiums shot up 330 percent. In Seattle, a company retired a whole class of duck boats after one crashed into a bus in 2015, killing five and injuring 69. In 1999, two out of the three of the duck-boat operators in Arkansas shut down after 13 passengers drowned in a lake. These were different companies with different types of vehicles, but it’s clear that now, more than ever, all eyes are on duck boats everywhere. In the meantime, let’s just hope the rest of us can stay out of their way.